On Wednesday, the Federal Reserve Board released its October 2018 Beige Book update, a summary of commentary on current economic conditions by Federal Reserve District. The report included several observations pertaining to the U.S. agricultural economy. 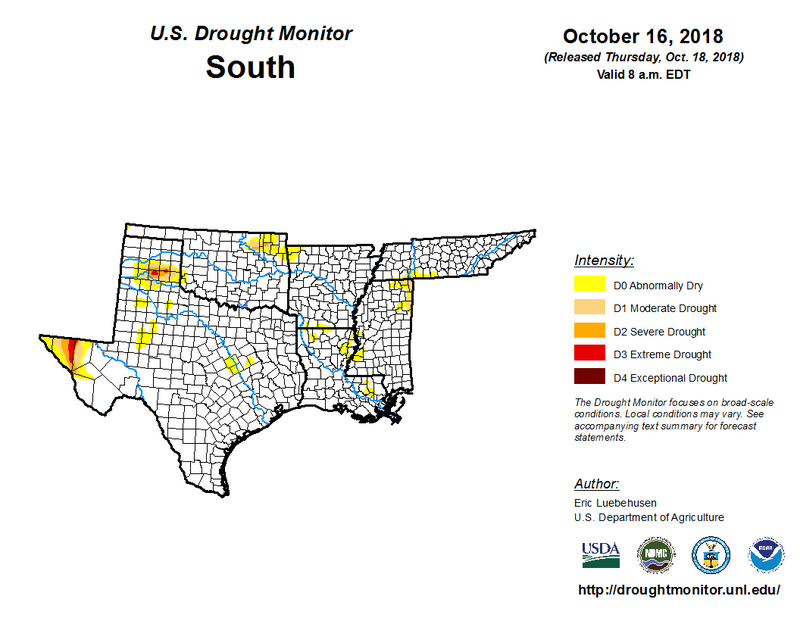 * Sixth District- Atlanta– “Agriculture conditions across the District remained mixed. By late September, most of the District was drought-free. District corn, soybean, cotton, and peanut harvests were close to their five-year averages although by late September, significant rain in Tennessee resulted in some crop damage and delays in harvesting. Year-over-year prices paid to farmers in August were up for corn, cotton, rice, and eggs, while soybean, beef, and broiler prices were down. Contacts remained concerned about tariffs and trade conflicts although there was some optimism concerning the newly agreed upon United States-Mexico-Canada Agreement. 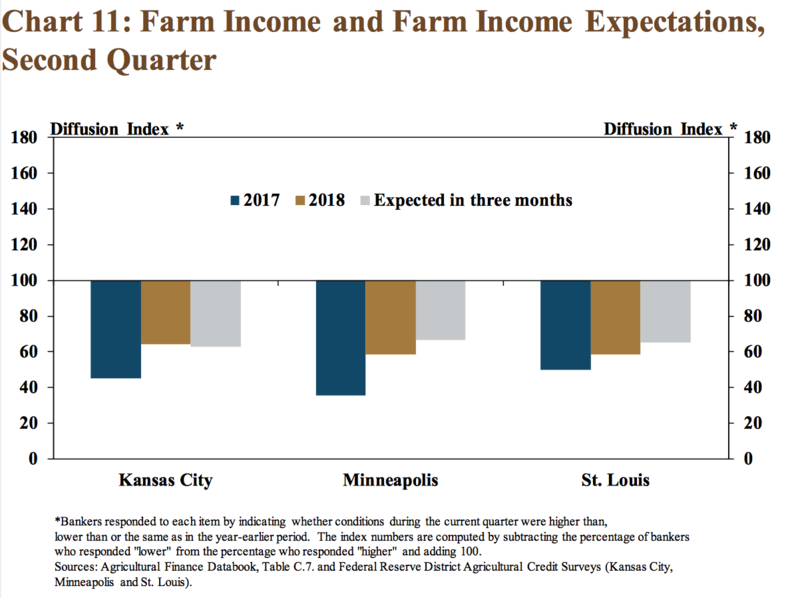 * Seventh District- Chicago– “Greater-than-usual precipitation slowed the harvest and reduced the quantity and quality of crops, and expectations for net crop income fell accordingly. While expectations for yields were lower than in the prior reporting period, it was still likely that they would reach record levels. Contacts reported a notable drop in Chinese purchases of US soybeans following an increase in Chinese tariffs. On average, 76% of U.S. #soybean shipments in October are to #China. Not this year though. Stats are alarming. 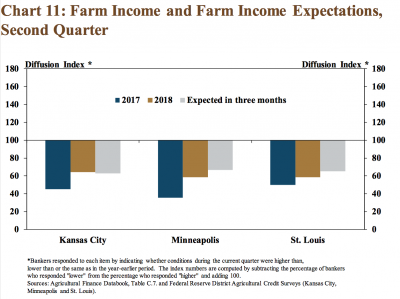 * Ninth District- Minneapolis– “District agricultural conditions remained weak overall. 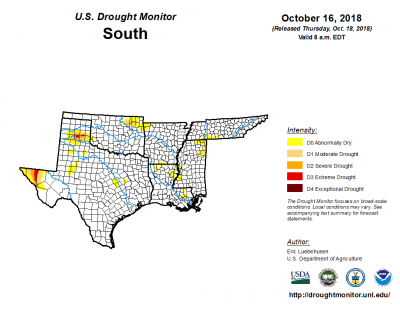 Persistent rain in early fall delayed or slowed harvests in some areas. Very strong harvests were expected around the District, including potential record yields in some cases. However, commodity prices remained weak, and greater production was not expected to completely offset the negative impact of low prices on farm incomes. International demand for crops, particularly soybeans, has fallen dramatically, according to contacts. A producer of dry beans reported that a large regular annual order from European Union countries was cancelled due to tariffs. A substantial number of dairy operations have exited the business since the beginning of the year. “Large-Scale Financing Drives Ag Lending Activity Higher,” by Nathan Kauffman and Ty Kreitman. The Federal Reserve Bank of Kansas City (October 19, 2018, https://goo.gl/WXznFv). * Twelfth District- San Francisco– “Conditions in the agriculture sector improved somewhat, with crop yields generally beating expectations. However, most contacts reported that trade policy changes started to have a tangible impact on activity. Yields and profits for growers in Central California continued to be satisfactory, but inventories of certain exported crops increased after delivery schedules were delayed due to trade policy uncertainty.